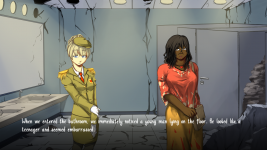 Wounded by Words is a visual novel made during Ludum Dare (with "Unconventional Weapon" as a theme). It tells the misfortune of six people who are trapped in the ruins of a shopping center after a terrorist attack. All they can do is wait for the rescue team to come. As the individuals are growing more and more desperate over time, you’ll be able to grow closer to them and discover their stories. Wounded by Words released on Google Play! 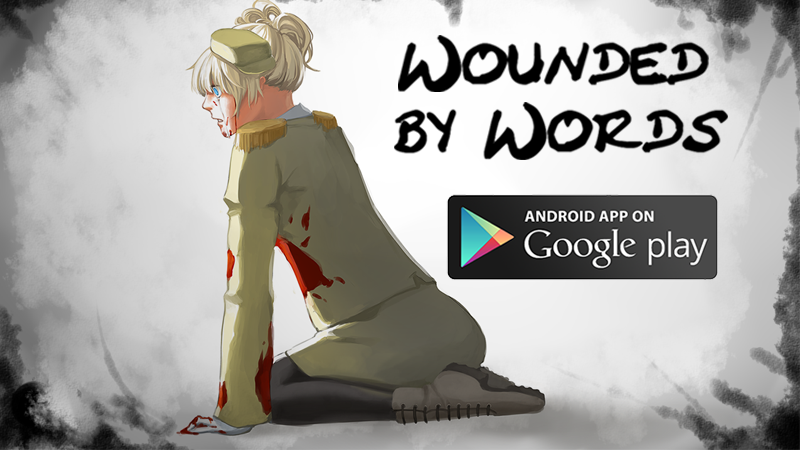 At last, Wounded by Words is now available for free on Google Play for you to play the game on your phone. 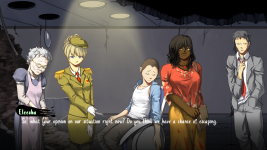 Also, all versions (Windows, Mac, Linux and Android) now include a French translation! It should be noted that this is the Extended Version of the game (up to now a hard coy exclusivity). It includes an interactive title screen, a longer bad end, after stories for each character, an unlockable epilogue and a bunch of new CGs! So if you haven’t tried it yet, here’s your chance. You can download the game for free on itchio or Google Play ;). 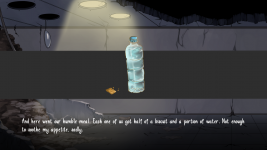 Wounded by Words is a visual novel originally made for the Ludum Dare 32 contest with Unconventional Weapon as a theme. Any feedback is welcome ! I really liked the disability characteristics in this tale. It was a great story, one I would recommend to my friends. I really wanted to focus on real people’s lives and what it’s like to be different so I’m glad you enjoyed this aspect of the story =). 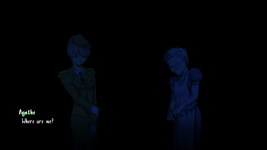 Ahh, another release by my favorite VN developer. Excellent.